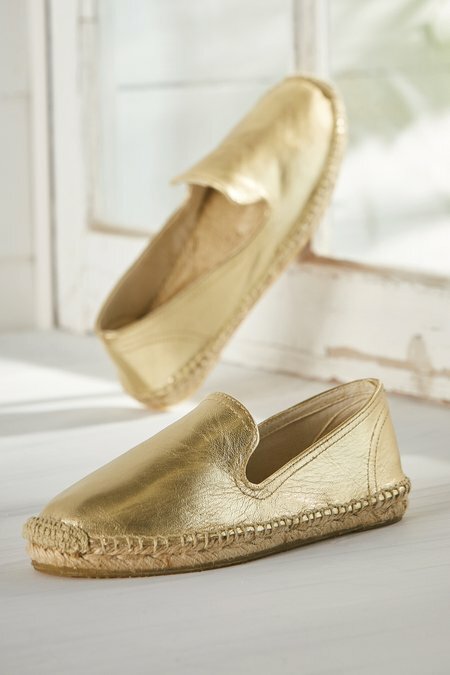 Gleaming metallic leather elevates these classic espadrilles to luxury status. With 3/4" jute platform soles and easy slip-on styling. Breathable leather lining.